Siyan Clinical Research (SCR) is a scientific research organization where pharmacological studies are conducted in an outpatient environment. Our specialty is in psychiatric care, treating patients with diagnoses’ including depression, anxiety, panic disorder, obsessive compulsive disorder, post-traumatic stress disorder, ADD/ADHD, bi-polar disorder, phobias, and cognitive disorders. SCR is the largest psychiatric facility in northwestern California, serving over 3,500 patients across 6 counties. We have a diverse adult patient population and are currently accepting new patients. SCR is located in Santa Rosa, California and provides treatment to patients living in Sonoma, Lake, Mendocino, Napa, Solano and Marin Counties. Referrals to the SCC’s newly renovated home office in Santa Rosa, California are made by private medical and mental health professionals along with agencies, facilities, family members and the patients themselves. Research participants may receive mental health services free of charge, dependent the type of clinical trial and corresponding sponsorship. SCC also accepts most commercial insurance plans including: Anthem Blue Cross, Blue Shield of CA, Cigna, Aetna, MHN, HealthNet, Magellan, and Medicare with a supplement. To improve quality of life for patients suffering from mental disorders in northwest California. To promote quality of care for mental health patients through individualized treatment and patient education by a highly qualified, experienced and compassionate team. To provide access to care for low-income patients by offering discounted or free treatment through our research initiatives. To advance knowledge of pharmaceutical medicine in the treatment of psychiatric disorders by conducting quality, science-based research studies dedicated to improving the well-being of our patients. SCR’s facility is located in the center of an active medical community in Santa Rosa, CA. We are located approximately 8 miles from the Charles M. Schulz – Sonoma County Airport (STS) and 2 hours from the Sacramento International Airport with many major hotels and restaurants available close to the study site. Public transportation includes a nearby bus stop serving the greater Sonoma County area. We use Central IRB for our research. 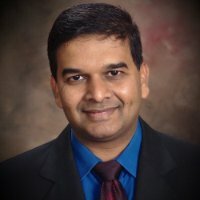 Principal Investigator: Anish Shah, M.D. 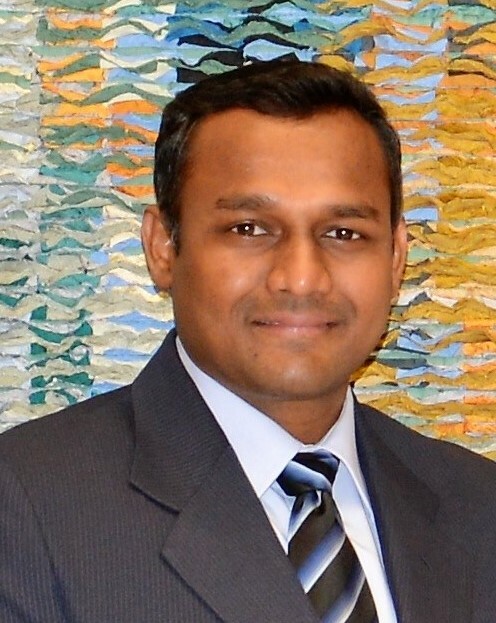 Dr. Shah is the founder and director of Siyan Clinical Corporation located in Santa Rosa, CA. Dr. Shah completed his residency at the University of Illinois in Chicago, Illinois. Since residency, he gained extensive experience as a General Psychiatrist for Lake County Mental Health, Kaiser Permanente and Sonoma County Mental Health. In addition to direct patient care, Dr. Shah also served as Medical Director of Napa State Hospital before launching his own practice in 2012. As the Medical Director at Napa State Hospital, Dr. Shah led a staff of 220 medical professionals and managed a $4 million medical services budget. 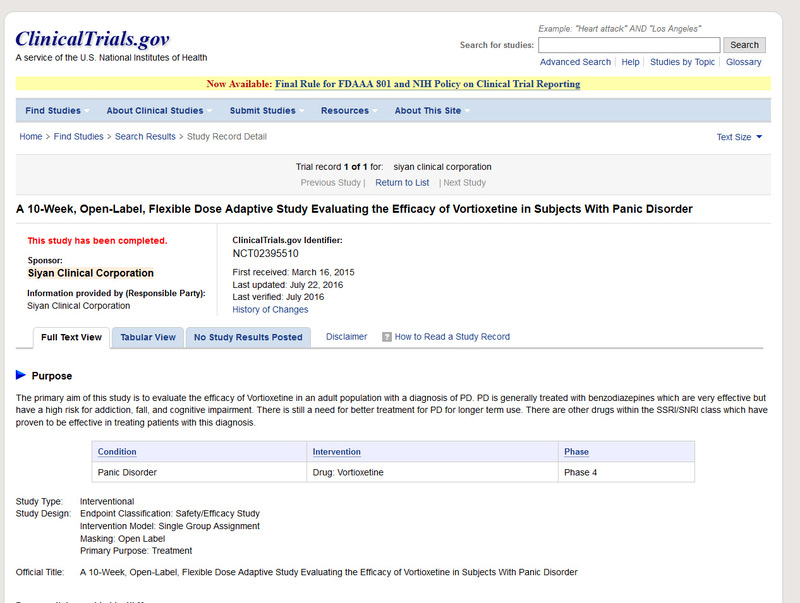 Principal Investigator: A 10-Week, Open-Label, Flexible Dose Adaptive Study Evaluating the Efficacy of Vortioxetine in Subjects with Panic Disorder. Initiated research study, protocol writing and submissions, conducted Informed Consent Process, Medical History, DSM-IV, MINI, C-SSRS, MOSES, Concomitant Medication, and Adverse Event Assessments. Study drug dispensing, titration, and accountability assessments. Involved in recruitment activities and provides training support and oversight to other study personnel. Research Assistant: Participated in research activity with Dr. David Marazek and Dr. Karen Weihs information such as involvement making lay protocol summary, conduct literature search, website development, videotaping sessions, and other usual and customary tasks of research assistant. Participated in studies involving drugs such as Paroxetine Divalproex Sodium. Research Assistant: Participated in research study with Philip Janicak as a second year and fourth year resident on Transcranial Magnetic Stimulation vs. ECT trial. The tasks involved clinical assessment, screening, monitoring, and treatment of study participants, tracking patient participation, and other coordination functions of clinical trials. Research Assistant: Worked with Dr. Daniel Liberman on preparation for his research on “Internet Interactive Social Skill Training and Intervention for Alcohol Abuse College Students”. 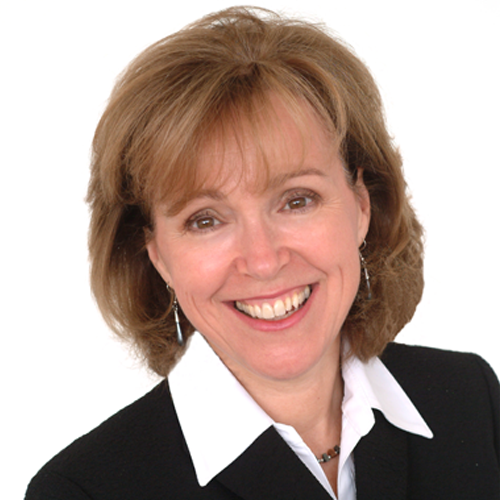 Jeannie LeMesurier, PhD. is a clinical psychologist, life coach and motivational speaker. She has over 30 years’ experience working with both children and adults providing diagnostic evaluations, psychological and educational assessments, psychotherapy and interventions. Dr. LeMesurier has served in the capacity of clinical psychologist, professor, counselor and advisor. She is fluent in both English and French and speaks functional Spanish. Dr. LeMesurier received her undergraduate and graduate degrees from McGill University in Montreal, Canada and her doctoral degree from Université de Montréal in Québec, Canada. Her Ph.D. is from l’Université de Montréal and served her Post-Doctoral Fellowship at the Reiss Davis Child Study Center in Los Angeles, California, specializing in child psychoanalytic psychotherapy. Dr. LeMesurier is a California state licensed clinical psychologist and practices solution-focused psychotherapy, Cognitive Behavior Therapy, Mindfulness, Positive Psychology, and coaching to help people with depression, anxiety, ADD/ADHD, stress, and more. As study coordinator for SCR, Katherine’s role is to assist in the coordination and management of clinical research for each study as required per protocol. Under the principal investigator’s supervision, Katherine helped launch SCC into the research arena by assisting in the development and execution of their first clinical trial, an investigator initiated protocol. She worked with a team to create and edit all source documents and budgets along with the study protocol. Katherine was responsible for recruitment and screening, participant orientation, dispensation of the investigational product, and collection of vital signs. She was the main point of contact with the IRB, FDA and the sponsor, ensuring timely submission of required documentation, including the reporting of any suspected SAE’s. 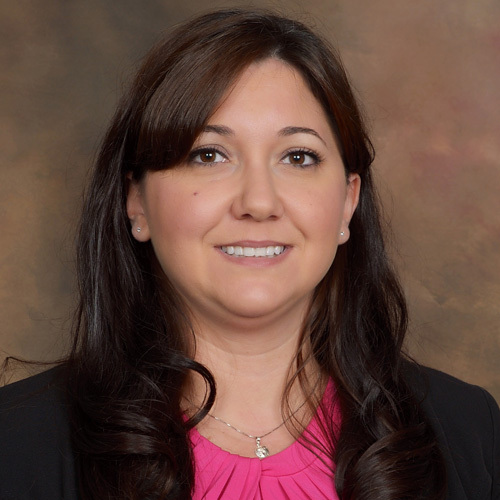 Katherine has worked in the healthcare industry since 2003 and has over 10 years of records management, medical billing, and front office management experience. She initially started out as an office manager for SCR in early 2012 and in January 2015 was promoted to a study coordinator. Katherine is GCP certified and has successfully coordinated and assisted in an investigator initiated, 10-week clinical study evaluating the efficacy of Vortioxetine in subjects with panic disorder. clinical research study coordinator: Vivian Dao, M.S. 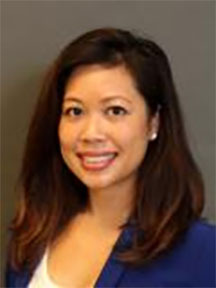 Vivian Dao, M.S., is the clinical research study coordinator at Siyan Clinical Research. She manages the clinical trial studies as required per protocol and regulatory affairs associated with the Institutional Review Board (IRB), National Institutes of Health (NIH), and other funding agency reports. She also ensures compliance with state and federal regulatory guidelines for the collection of clinical data by acting as the principal administrative liaison to pharmaceutical industries. Her duties include coordinating research team meetings, scheduling patient’s visit dates, dispensation and consultation of the investigational product. She strives to preserve the integrity of human research by protecting each patient’s confidentiality and accurately reports data tracking information about the study’s objectives. Vivian received her B.S. degree in Biological Sciences from Sacramento State University and recently obtained her M.S. degree in Medical Health Sciences at Touro University California. Before coming to Siyan Clinical Research, Vivian conducted health outcomes research projects which included investigating the correlation of drugs/diseases with impairments associated with driving performance. As a clinical researcher, Vivian aims to improve health outcomes by providing accurate data from clinical trials to health professionals, scientists, and pharmaceutical industries. Vivian also advocates for her community while collaborating with health care providers and scientists to discover new therapies to prevent disease/symptom progression. Most importantly, Vivian enjoys educating patients about available resources that can help them improve their quality of life. The clinical staff at SCR work together to provide the highest quality psychiatric care in an atmosphere of respect, compassion, and a belief in the innate value of every individual. Working closely with our principal investigator, we have five Nurse Practitioners with an average experience level of more than 5 years. Our two senior clinical psychologists, Jeannie LeMesurier, Ph.D. and Warren S. Bean, Ph.D., have over forty years of combined experience in providing psychiatric care to patients. SCR values communication, timeliness, efficiency and quality in the clinical trial process. We are committed to conducting trials in accordance with the protocol of the sponsor, CRO and FDA. We strive to continually improve our research skills and encourage feedback. SCR is a newly dedicated research site, involved in clinical research since the 2015. For the past few years, we have been direct patient care only and have grown into a thriving practice with a large patient database. Our interest is research in phases II, III, and IV. We have worked previously with Takeda Pharmaceuticals Inc.
Our team of providers have years of experience treating patients with diagnosis’ including depression, anxiety, panic disorder, obsessive compulsive disorder, post-traumatic stress disorder, ADD/ADHD, bi-polar disorder, phobias, and cognitive disorders. Sonoma, Lake, Mendocino, Napa, Solano and Marin Counties. As of October 2016, our area has been designated as a Health Provider Shortage Area (HPSA) by the Health Resources and Services Administration (HRSA), a subsect of the U.S. Department of Health and Human Services. This recently acquired HPSA designation will indirectly allow us access to even more patients, as incentives to bring more providers into the area will increase along with the patient load. SCR is an active member of the local mental health provider network, working with many different county-sponsored health centers along with varied private practice physicians. We have a portion of our website dedicated to recruitment and manage the recruitment and screening process in-house. Are you interested in enrolling in a clinical trial? Please fill out the below information form including your area of interest.